Below is a list of all the Japanese and Asian snack boxes we’ve found as we’ve tested them and/or scoured the internet. You’ll find prices, what to expect, reviews and countries the boxes ship to. 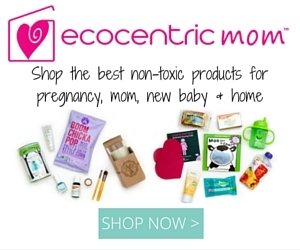 Do you know of a new box or review and want us to feature it? Please contact us. NOTE: The original list is below the new directory format. Bokksu is a premium subscription box for people to discover authentic snacks and teas from all over Japan. Every box contains 13-15 gourmet snacks curated around a theme, a tea pairing that complements that month’s flavors, and a Tasting Guide that explains each item’s story. Each month, we meticulously craft the assortment to include snacks and teas only found in Japan. Ships Worldwide. Japan Crate has a mini size crate starting at 12$ per month, a medium sized crate for 25$ and a large crate for 30$. Ships directly from US. Ships internationally for a 15$ charge. Premium boxes have at least 2 DIY kits and a drink. Starting in December, Japan Crate has released the “DokiDoki Crate,” which is a crate for all things cute. Cost is 30$ per month. Ships Worldwide. New box from the folks at KawaiiBox, sends out fun and quirky sweets straight from Japan. This box is strictly sweet, no weird flavorings here. 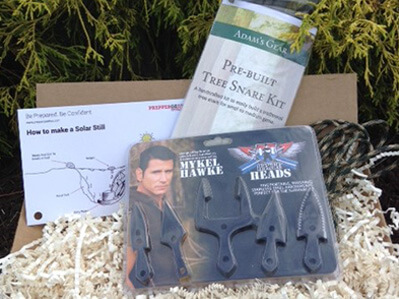 You get between 8-10 items per box, ranging from small to large, and at least 1 DIY kit. Ships Worldwide. Candysan is an online retailer of Japanese snacks and candies. They have a discovery pack for around 32$ that’s filled with some of the best items in their shop. There’s also a ramen box, seasonal/holiday bags (these sell out quick), and mystery samplers. Candysan is one of the best retailers due to their affordability; they constantly update their shop and sell out very quickly of new items. 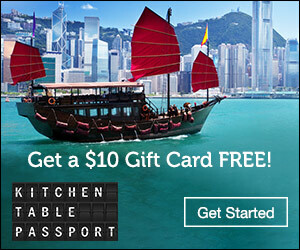 Click here to get a 5% off voucher. Ships to US and Canada. Skoshbox is one of the oldest US based Japanese Subscriptions, having been born in Hawaii. They have two options, a 12$ per month sampler box, and a 24$ per month Dekabox which features all full size snacks. You can update the Dekabox to include a special accessory too. Skoshbox ships to Canada, however the Dekabox does not. Ships free to US. Japan Yum sends out 8-10 snacks for 25$ per month, with free shipping to the US. The box borders on the unique with the snacks being as common as umaibo and as random as sardines. This box is one to watch – it just debuted and is up and coming as a contender. Ships Worldwide. 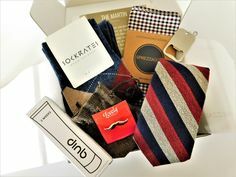 Okashda offers two sizes of subscription boxes, the Puchi and the Oki, as well as special edition boxes. The boxes contain all full size snacks, DIY kits, and the Oki box may contain noodles or drinks occassionally. These boxes are well curated and the snacks are usually new, limited edition, or season flavors of popular classics. The special edition boxes contain snacks and accessories and vary per month. Ships Worldwide. Okashi Connection is a bit of a unique Japanese subscription because it offers numerous upgrade options. 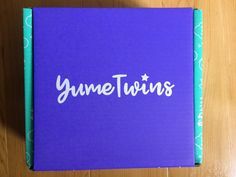 They have three sizes, and all boxes ship directly from Japan. Items include limited edition snacks and newly released flavors of popular brands. Ships Worldwide. A new snack box hailing straight from Japan featuring a variety of Asian snacks including KitKats! The Kawaii version usually also contains snacks. They also have a Create-a-Kawaii-Bag and a popular shop with items you won’t find that cheap anywhere else. Highly recommended. Ships Worldwide. Snakku is an excellent subscription box that thrives on the authentic, as each box is curated slightly around a theme, and features items from artisans in various regions of Japan. This is a truly unique box, with items you simply won’t find in any other box. Highly recommended. Ships Worldwide. Tokyo Sweet Box specializes in curated boxes centered around pop culture characters, such as characters from Sanrio and Sailor Moon. They offer seasonal boxes, regular snack boxes, and special character boxes. Each box contains a variety of snacks as well as collectibles pertaining to that character. Ships Worldwide. Ships only full size snacks in 3 different tiers, 15$ is less than 1lb, the middle tier is 1.5lbs and 1 DIY kit, and the 35$ tier has 2lbs or more plus 2 DIY kits and one special extra, like a gachapon. Ships Worldwide. Box from Japan is a new offering that features both English and Spanish on its website. 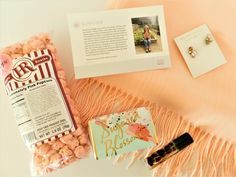 It offers a classic candy subscription, as well as a ramen noodle subscription, with more options looming in the future. Ships Worldwide – WowBox has three different types of boxes, all centered around a theme: Kawaii & Beauty, Fun & Tasty, and Classic. The Kawaii & Beauty features at least one beauty item while the rest are “cute” themed snacks. The Fun & Tasty is a regular, typical subscription filled with different types of snacks and candies, limited edition and new flavors. The classic features pocky prominently, with classic flavors of Glico products. Ships to the UK – A new snack box for the UK that sends out customized boxes based on preferences you choose with free shipping. Ships Worldwide. We now offer Puchi Pack ($12.99 / mo.) Original Box ($25 / mo.) and Family Pack ($34.99 / mo.) subscriptions. Customers can purchase one of any of these boxes to try them out (no long term obligations). We also have an online store where customers can purchase bulk orders of some of the candies included in our past subscription boxes; we will be adding bulk orders in the very near future. Many German customers have difficulty making online subscriptions (PayPal in Germany is set up through bank accounts instead of using credit cards which doesn’t allow recurring payments) so we have created a system to collect 3, 6 and 12 month bundles up front and ship packages out over that period of time. We do not automatically renew these bundles, so they are perfect for gifts (you don’t have that awkward, “I have to cancel your subscription present now” situation). Ships Worldwide. Sends mostly seasonal goodies with a heavy emphasis on items sourced only from Japan. Around a pound in each box. 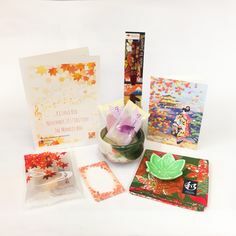 Each box also contains info cards and special cultural aspects of their location in Japan, including festival information and hard to find snacks. Ships Worldwide. A snack box run by the folks at OyatsuCafe. Will randomly contain collectables though it’s not guaranteed. The amount of candy seems lower than its competitors but the flavors are seasonal and hard to find. They recently launched a “Mini” version that contains 3 full size treats for 7.99; they may also have a waitlist. Ships Worldwide. JBOX is an older subscription service hailing straight from Japan that sends out a variety of snacks each month based on what’s in their shop. Their shop has a good variety of everything, including items such as health and lifestyle, anime collectibles and even adult. Ships Worldwide. Sends 10-15 unusual and hard to find snacks, things you wouldn’t normally see in other boxes. The brands are usually a mix of both cult favorites like Tohato and lesser known brands with emphasis on new releases. They also have a Matcha (Green Tea) KitKat option. Ships Worldwide. They offer three sizes in boxes, and always have spoilers posted on their site. Note their shipping schedule – boxes are paid for months in advance. I would recommend this as more of a sampler, as each box doesn’t vary much in terms of treats sent. You do get a lot for your money, but it’s all the same items each month. Ships Worldwide. 24/7 Japanese Candy just launched on 7/1 and is already making a big impact with their boxes, as you get a lot of candies thanks to their numerous options. Candies are often new, or limited edition. Ships Worldwide. Ships candy twice per month up to 5 ounces. 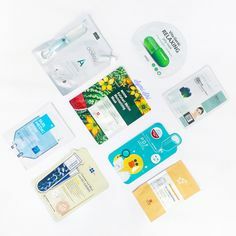 Your first shipment arrives usually arrives the first half of the month and is filled with brands like Lotte and Tohato, and your second shipment arrives the second half. You get two shipments per month making this sub 12.50 per shipment. They focus more on hard to find flavors. The candy arrives in large envelopes though they’ve been known to send out an actual box. Ships Worldwide. Kawaii Surprise runs both a kawaii box and several snack boxes, with variations on taste and type. Check their social media for posts before you buy. New LE Chocolates Box, once it’s gone, it’s gone! 19.99$ with free worldwide shipping. New One-Time Box options, only one left is a small envelope with 4-6 snacks (no DIY kits). 12.99$ with free worldwide shipping. A new Japanese Snack Box that features 2lbs worth of snacks, shipping worldwide straight out of Japan. Ships worldwide, features three different sizes of snack boxes, with snacks prominent in the Marimo shop. 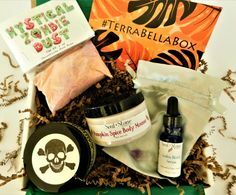 This box has subscriptions and specialty product boxes and all items ship free. The specialty boxes include matcha, KIT KATS! and pocky. They also specialize in Filipino and Korean snack boxes. New subscription box for Gachapons separated into three categories: Cute, Geeky, or Combo. Has two sizes, Mini and Giga. Giga contains a drink. Willing to work around food allergies or preferences. UK only. Not yet launched, currently collecting feedback on what a subscriber would want in a box. Plans on shipping worldwide from Japan. Another UK based subscription that has varying levels of candies from 10 pieces up to 30 individual pieces, all with free shipping. Another UK based subscription that sends “Pop Culture in a Box.” The £40 option includes up to 16 snacks, a drink and instant noodles. UK shipping only. Contains a trial “Mini Box” and a larger “OyatsuBox” (not affiliated with the other OyatsuBox). All boxes ship worldwide, and the mini box is a one time box that does not renew. The site is a little … odd, but the service is legit. This is an older box that’s since rebranded under a different name. Plans start at 12.95$ for small boxes, though it doesn’t look like the site is fully functional yet. A new subscription service out of Japan that only services other Asian countries: Indonesia, Malaysia and Singapore. Another UK specific box that features multiple snacks, a drink, and free shipping. No worldwide shipping. 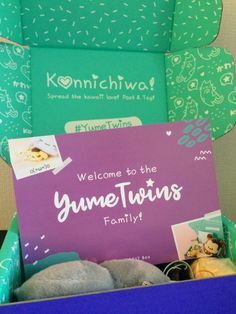 A new cute themed box that sends out only “cute” looking snacks and a bonus accessory each month. The SUPER Kawaii box will have 10 snacks and 1 Japanese cosmetic item. Annnnd we have a new top spot for most expensive Japanese box! This box has three levels at three different price points; the 49.99$ box contains two DIY kits and two special items ranging from drinks to adult candies. The box has up to 30 different candies overall. Are you a blogger or vlogger, and have an up to date review of a snack box? Send me your link. *Note: I am not affiliated with these companies and do not have the ability to send free boxes. I just maintain the list. If you have any questions about any of the boxes or the items inside, I’ll be happy to answer! The following contain a variety of snacks from all countries and may contain Japanese snacks but there is no guarantee. Ships to Most Countries. The original MunchPak contains 12+ FULL size snacks, and FamilyPak contains 22+ snacks. The mini contains 5+ snacks. Snacks are random and will contain both international snacks and cult favorites but can be customized based on allergy or preference. You can also add drinks. US Only. Bocandy is similar to MunchPak because they send out international sweets and snacks. They do tend to send a lot of Asian snacks. Bocandy also just launched a subscription service for different types of jerky, aptly named Bojerky. Free US Shipping. Treats is a new snack box that sends out all varieties of international snacks. The traveler box (small) contains 4-5 snacks, while the explorer (large) contains 8-10 snacks. In the beginning the boxes will have set themes based on a specific county. Free Shipping in the US. KarePax sends a variety of international candy and at least 2 comic books per shipment. Contains 11-13 full size snacks and a handful of penny candy. They also have a “just comics” option for 60$ per month. You can customize your KarePax so you don’t receive comics, or you get double comics! It can also be slightly personalized to your food and allergies preferences. US Only. 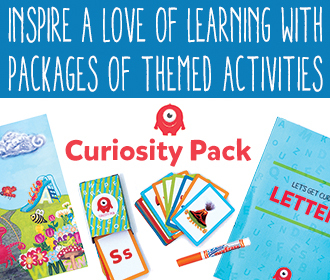 This is a new box with fun and quirky packaging that sends snacks from all over the world, as well as educational cards about the items and the country of origin. May was their inaugural box. Ships Worldwide. Contains cute items primarily from Japan, such as keychains, erasers, stationary and pouches. Contains candy randomly. Usually you’ll find smaller items like hi-chew. US Only. International Snacks. Sends out 8-10 International snacks each month, not limited to candy. They send out things like crackers and soups too, so it’s a literal taster box. Ships Worldwide. 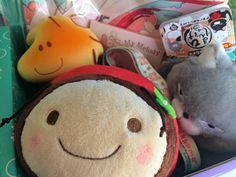 A box curated by Keep it Secret!, the box contains mostly cute items (Rilakkuma seems to be a central theme), with an occasional snack thrown in. Ships to US. “The SNACK TREASURE CHEST contains 8-12 items and a drink, and the SNACK TREASURE CHEST XL contains 15-20 items including 2 drinks.” This subscription just barely launched, so there are no reviews yet. They send out items from all over the world, for a fairly reasonable price. They were previously just a Asian food subscription but seem to have expanded to worldwide candy offerings. The following boxes are region specific Asian snack boxes, not exclusively Japanese. Ships to US Only. Snack Fever is a new snack box that exclusively sends out Korean snacks. The original size snack box weighs slightly under 2lbs with 8+ snacks, while the mini is 1lb or less with at least 5 snacks. Ships Worldwide. Korea Box is a new affordable Korean snack box that ships directly from Korea and only sends out authentic Korean snacks. There’s two options, the premium and the regular. They also have a beauty box and K-Pop option. Ships Worldwide. KokoBox is a new exclusively Korean snack box that ships straight out of Korea. The snacks are mixtures of common (lotte and glico), and new releases, with limited edition flavors. They also have a beauty option. Ships Worldwide. KoreaKube is a new one-time box that sends out only the most popular snacks available in Korea. They have a variety of other “snack/food” based kubes too, including a hangover, beauty, and winter kube. Definitely unique. Ships to US. Thai Crate is a brand new subscription box for snacks from Thailand! The mini is at least a half pound while the large is a full pound, mini will have 5-7 items, large will have 10-14 items. The following boxes are Ramen or noodle specific. Ships to the US. The Ramen Box contains 6-8 sealed ramen packages that feature 3-4 different flavors. No utensils or extra flavorings included. Ships Worldwide. Candysan sends three randomly selected small Japanese Ramen noodle bowls in a variety of flavors. Shipping is by weight and these are one time boxes. When they’re gone, they’re gone. Save 5% off your order by using this link. Ships to the US. This box is different because it not only sends noodles from around the world, but it also gives you the option to choose the amount of noodles you want per month, between 4, 8, and 16 bowls. Ships to US. Snack Fever, a very popular Korean specific snack box, recently released their one time Ramen box, filled with the “spiciest Ramen in the world,” as well as metal chopsticks. Once this is gone, it’s gone. Ships Worldwide. You get 4 large bowls of premium Ramen that you can only find in Japan, utensils and napkins for 25$ per month. The following are upcoming boxes that have been announced but are not available for purchase. Ships worldwide. DesuBox is going to have two sizes, a Mini and a Regular, but only the Mini ships worldwide (7 pound to Europe, 12 everywhere else). The mini contains around 5 snacks and the regular around 10. Launches January 2016 with only 200 boxes. The following boxes contain snacks but they’re not the focal point. Meaning there are typically more collectibles with one random snack included. Ships to select countries. Sends a mix of both candy and Anime collectables. The collectables are usually gachapon type items, from both cult favorite shows and lesser known shows, and usually range from keychains to figurines. There’s a few snacks included, usually savory. Ships to US and Canada. Sends a mix of both candy and Anime collectables. Contains gachapon, popular Anime collectables such as iron on patches and miniature figurines, and usually one candy item per month. Each subscription comes with an entry into the “Big Bento” sweepstakes, a monthly drawing for a huge box of goodies. Ships Worldwide. This box ships anime collectibles with a few snacks tossed in. Sends out officially licensed merchandise, typically from popular shows like DBZ and One Piece. The following boxes are currently closed to new subscribers and/or are undergoing revisions. Ships Worldwide. Highly avoid; this box was originally announced in early August as a revolutionary snack box meant to replace most others because of the large amount of snacks it offered for the price point. Unfortunately, red flags started popping up almost immediately. 1. They went deathly silent on instagram (their only social contact) two weeks before their scheduled launch. 2. When responding to an inquiry that many of you had, they revealed they were based in Florida, making free international shipping absolutely ludicrous (and financially impossible) for the amount of snacks they were promising. 3. Delays ensued, as expected (many of you subscribed based on when we initially advertised them as a new box). 4. When the boxes finally arrived, they contained next to nothing, and especially nothing promised (scroll to comments). Avoid this box for now; I only hope they can get their act together and will keep you updated on their progress. Good luck to Neko Snacks. Ships to US Only. OishiiBox’s website appears to be having massive issues. Their last facebook update was in 2014, and the last box review I can find is from March. Considering how many problems these guys have had since inception, I can’t recommend this box. Buy at your own risk. US Only. GrubBox hasn’t updated their social media presence in well over a year, nor do they seem to be sending out boxes or replying to comments. I think it’s safe to say that these guys are no longer active. Ships Worldwide. GachaBox is another box born through Instagram. It currently on accepts orders through the DM system on the application, though it is working on a website. The box will contain both sweet and savory snacks with the added tagline, “You won’t find this in your local grocery store.” #shade. GachaBox will also feature a special edition box each month, and August’s is pocky. These guys just kind of disappeared. A brand new box run by a lovely beauty blogger, she has a variety of different types of themed snack boxes. Snacks may not be exclusively Japanese. Ships to most countries. *As of 1/8/15, the service is undergoing revisions and no new boxes will be produced. Ships Worldwide. This is a new sweets centered box from Japan but it has no information with it other than a projected modest 16$+ price tag. There is no way to order, though the box is set to debut in August. I’ll update you as I get more information. Note: As of September 14th, these guys have still not launched. Ships Worldwide. A newer box focusing more on favorites like Koala’s March and NeruNeru DIY kits. This box doesn’t send as many items as others, and seems to be much more savory oriented. Ships Worldwide. OmNomBox is one of the few Asian snack subscriptions that sends out drinks. There’s a drink in each box, and the snacks are both sweet and savory, and there’s usually a mystery snack. Snacks come from Taiwan, Japan and China. This page may contain an affiliate or referral link.